When was the last time you asked God to do something impossible, something out of the ordinary? I believe that one reason we don’t see God do great things is because we only ask Him for small things. Most people pray over their food, pray for protection, or pray for wisdom. 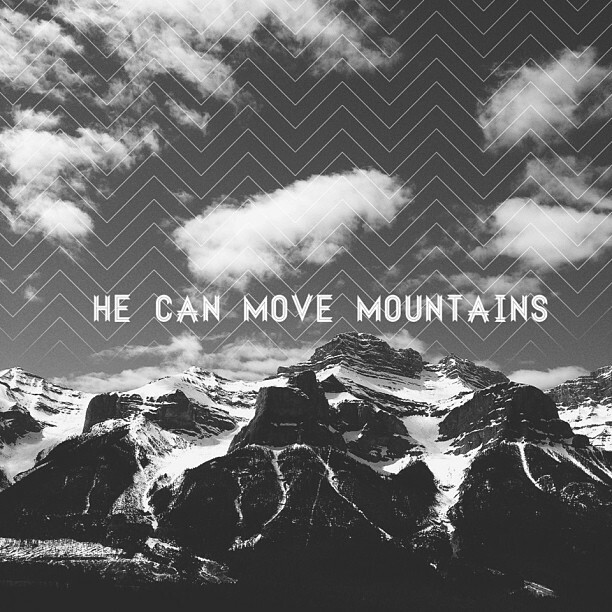 That’s all good, but don’t limit what God can do. There should be something you’re praying about, something that you’re asking for that is beyond you, something that you can’t accomplish in your own strength. Do you dare to ask? All through the scripture, we see people doing this. Elisha prayed that it wouldn’t rain, and for three and a half years there was no rain. Joshua prayed for more daylight, and God stopped the sun. Follow their example and step out in faith. Dare to ask, dare to believe God, and see His mighty hand move on your behalf! The steps of a good man are ordered by the Lord! Many people today might find it difficult to see themselves as “good” in the eyes of God, but did you know that in the original Greek, this word means “strong” like a warrior? In other words, when you stand strong, when you are willing to fight the good fight of faith, you are giving God something to work with. He is ordering your steps. He’s making a way when there seems to be no way. He’s clearing a path for you, and He is delighting in you. That means He is pleased with your attitude of courage. He is pleased that you are taking a stand for what is right. He is pleased that you are putting Him first place and relying completely on Him. Remember, God loves your passion for Him. He loves it when you come boldly to His throne of grace. He is honored when you stand and fight the good fight of faith. If you are facing difficulty today, know that God wants to lift you up and give you His strength. Receive it by faith today. Dig your heels in knowing that He is ordering your steps; and when God is leading you, He’s always leading you in the path of victory! One thing I’ve learned in my life is that God likes to outdo Himself. His dream for your life is so much bigger than your own. His ways are higher, and He has an appointed time of favor for your life. He is going to take you places that you never thought possible. He is going to open up doors that you never have imagined. He’s going to bring talent out of you that you didn’t even know you had. This is the time to get excited about your future! It’s time to get your hopes up because you have been chosen by the Creator of the universe. Your destiny is not determined by the economy, how you were raised, or your education. Your destiny is determined by Almighty God. Today, I want to encourage you to set your thoughts on things above. It’s time for you to move up higher to a new level. The good news is that God has already laid out victory before you. 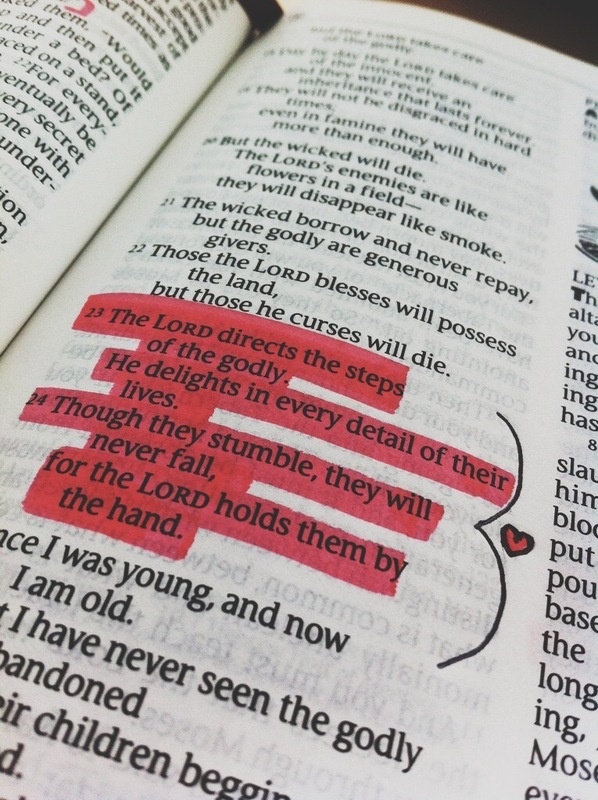 I declare that in the days ahead you’re going to stumble into it. Get ready because God is going to raise you up into the life of blessing He has prepared for you! We have to realize our mistakes aren’t that powerful. Our mistakes aren’t too big for God. He’s not up in the heavens shaking His head saying, “I never dreamed they would do that. They’ve ruined My plan.” No, God knew every mistake we would ever make. He knew every wrong turn, and He’s already prepared a new route. He already has your detour figured out. Scripture says that God knows the end from the beginning. 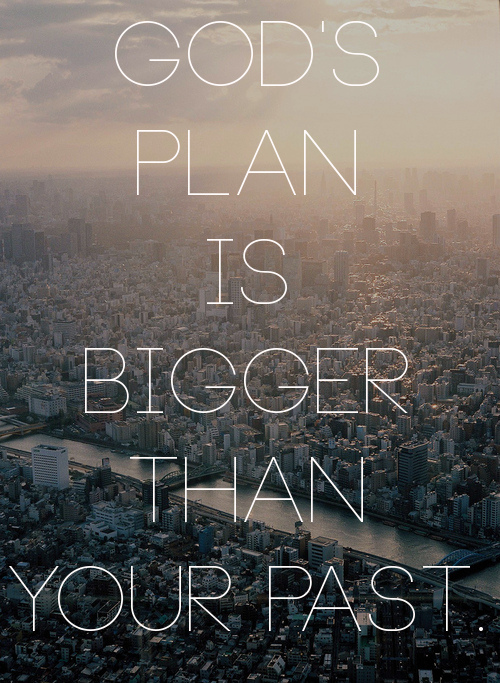 If you’ve made some mistakes, the good news is that He has already planned a way to get you back on track! Just come to Him with an open and humble heart. Let Him wash you clean and make you new. Your mistakes aren’t bigger than God. 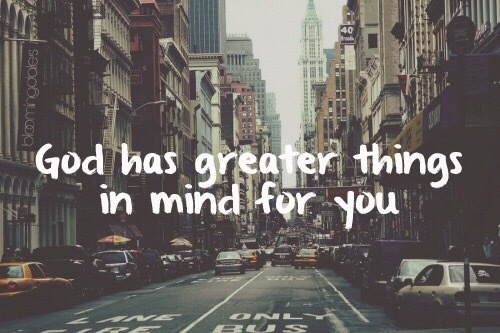 He loves you and has a good plan in store for you! 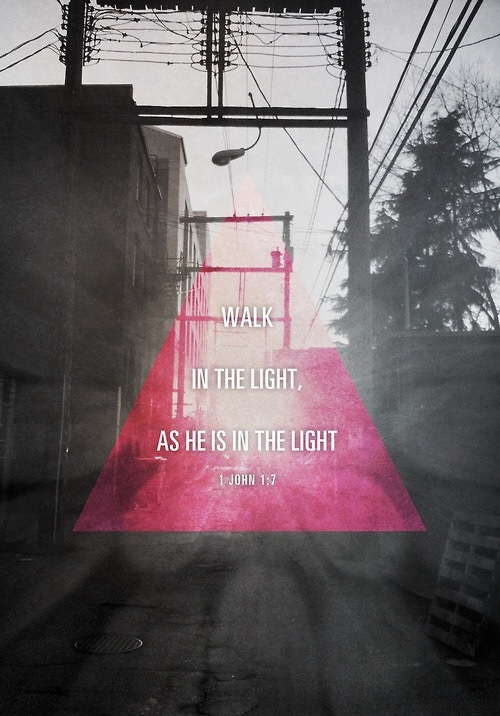 Are you walking by faith or sight today? In other words, are you choosing to believe God no matter what your circumstances look like, or are you making decisions and focusing your mind on what you can see. As believers, we have to remember that we aren’t just subject to this natural realm–what we can see, hear, touch, and smell. No, we have access to the unseen, supernatural realm where all the promises and blessings of God are stored. When you choose to walk by faith, you are opening a door from the natural realm to the supernatural realm and drawing the blessings of God into your life. Remember: with God seeing isn’t believing; believing is seeing! Throughout the day, begin to declare, “Father, I want to thank You that my payday is coming. You said no good thing will You withhold because I walk uprightly. I believe even right now You’re arranging things in my favor.” As you walk and live by faith, you will live a life pleasing to God. You’ll see His blessing and favor in abundance, and you’ll fulfill the destiny He has in store for you! Why do bad things happen to good people? Why is life so difficult sometimes? 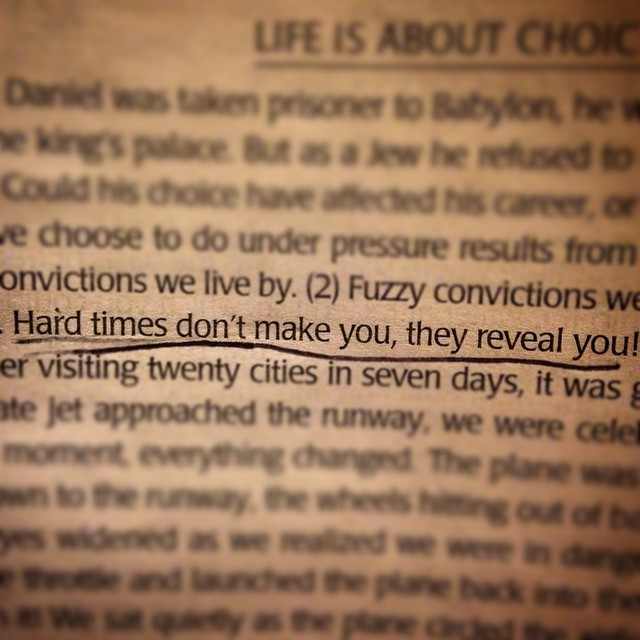 Don’t be surprised if God is using tough times in your life to test your faithfulness. Faithful people keep on keeping on when other people want to give up. Faithful people are diligent and determined. They are persistent. In 2 Corinthians 4, Paul says you need to get the right perspective when you are going through a problem. Don’t look at the temporary problem; look at the long-term reward. Don’t look at the temporary pain; look at the long-term gain. Don’t look at it with the short-term view, “What’s happening to me right now?” Instead, look at the character that you are building because you haven’t given up. You’re hanging in there. God is more interested in what you are becoming than what you accomplish. If you are facing difficult times right now, I want to challenge you to write this verse on a 3×5 card and memorize it: “So let’s not get tired of doing what is good. At just the right time we will reap a harvest of blessing if we don’t give up” (Galatians 6:9 NLT). I pray it will encourage you to keep going. You will be rewarded!